About the Producers . Episode 7 was produced on September 11, 2008. 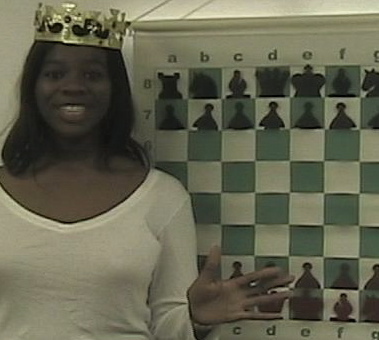 Learn about some cool chess positions, watch Barbara and Lauren play a five minutes blitz game, and learn what you need to know to play in a United States Chess Federation chess tournament. They explain how to use the clock, good sportsmanship, and other basic rules. Click here to see it online. If you live very close to Palo Alto, California, then you will most likely be able to watch it on television! Click here to find out times and dates!